The Lacquer Ring Does Baby Blue Nails | Polish Me, Please! Today we are doing baby blue nails, as chosen by Lesley and unfortunately I came up with some real duds. Hopefully for the next prompt, which I’m REALLLLLLY excited about I’ll have something good. Let’s just see today’s disasticure. For these nails I used all Zoya polishes. I used Rocky for the baby blue base, Genesis for the shimmery white and Oceane for the metallic blue. Genesis and Oceane are from the new spring 2015 Paradise Sun collection. I’ll be sharing the entire spring release Paradise Sun and Island Fun collections soon. Don’t forget to check out everyone else’s baby blue nails by clicking the button below. Let me know what your favorite baby blue nail polish is in the comments. Thanks for reading and commenting and till next time- Happy Polishing! I’ve been wanting to try this technique! I think the colors look really good together. Oceane seems kind of thin. Is it? Ugh SO thin. Not quite like cuticle flooding thin, but like maybe it would take 4 coats to really be opaque. I had to do 2 coats to get it this opaque, which as you can tell is still fairly patchy. You think this is a fail?! I’m in love with it. So super cute. I need to bust out the new Zoyas and start working with them. I do too. These are the only two I’ve tried so far. And thank you! I like the colors, just not the execution. I don’t think they’re duds! 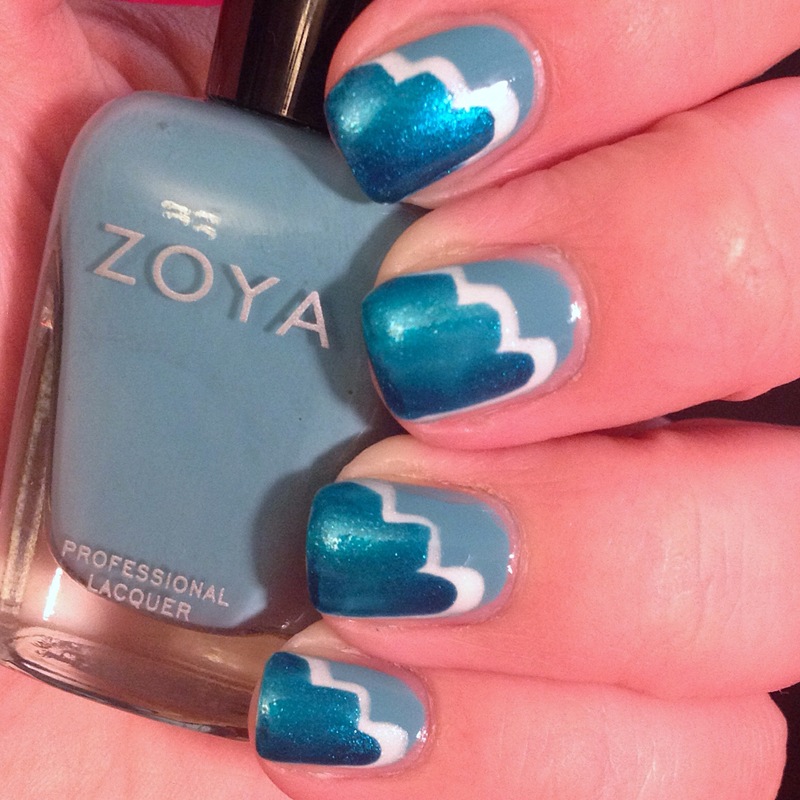 I haven’t done a cloud mani…why not? I think I can handle it, haha (now I just jinxed myself).